Whether dark or light skin, children’s or adult’s skin: Our skin needs the right sun protection. 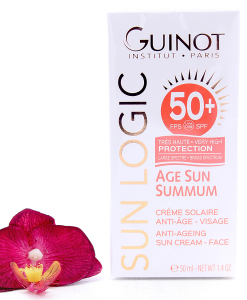 Creme Solaire SPF 50+ with its innovative formulation offers extensive protection from UV damage. The rapidly absorbed cream neutralises oxygen radicals and reduces the dosage of penetrating UV radiation whilst combating free radicals, one of the main causes of DNA damage. The natural inulin moisturises the skin with liposomally encapsulated active ingredients and maintains the skin’s moisture balance. 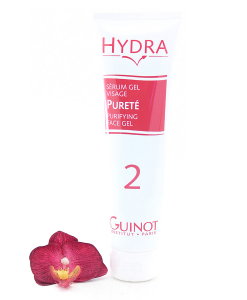 At the same time, panthenol increases the skin’s moisture storage capacity. The skin remains soft and elastic. Suitable for particularly sensitive skin, but also for protecting against/preventing rosacea and pigment spots. Generously apply the sun protection product before sunbathing. After going in the water, renew your sun protection, even if it is a waterproof sun protection product. 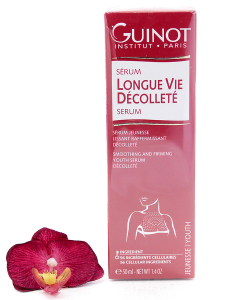 Apply repeatedly to maintain the protection, particularly when sweating or after swimming and drying off your skin. Avoid intense midday sun. Protect babies and small children from direct sun exposure. Effective UVA and UVB sun protection filter system for optimum sun protection of the skin. Intelligent cell and DNA protection from an active ingredient complex of sunflower seed, natural antioxidants and rosemary extract stabilise the skin’s natural functions and are intensively conditioning. Vitamin E acetate protects against the negative impacts of free radicals and prevents premature skin aging. Panthenol increases the skin’s moisture storage capacity. Panthenol and bisabolol, the main active ingredient of camomile, calm the skin and soothe irritations. The natural inulin moisturises the skin with liposomally encapsulated active ingredients and maintains the skin’s moisture balance. Dihydroxy Methylchromonyl Palmitate prepares the skin for tanning and positively influences cell regeneration.